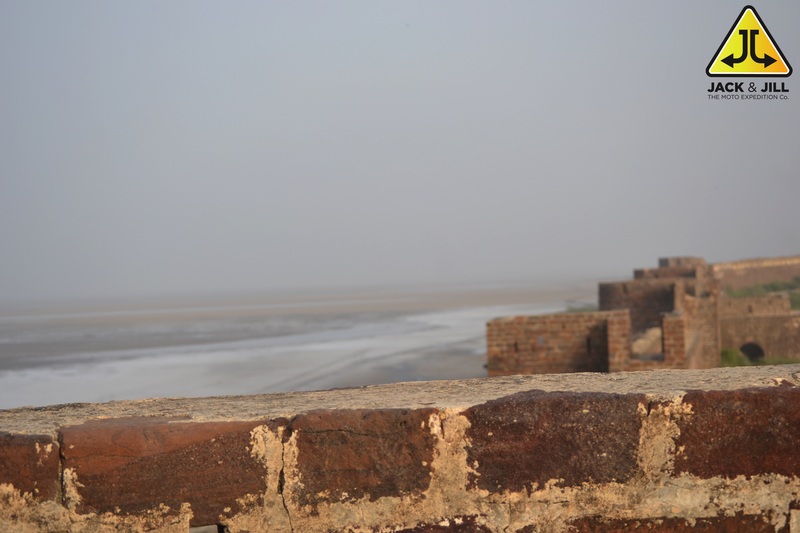 At the far northwest corner of Kutch, facing north across the Great Rann towards Pakistan, stands Lakhpat, once an important port city but now virtually abandoned for almost 200 years. A place where you can imagine the rise and decline of a great port city, and simultaneously contemplate the vast emptiness of the desert and the sea. When the 1819 earthquake sent the Indus River on its present course to the west and the Great Rann dried up, so did Lakhpat. It was left a humble town around the ruins of its former grandness, now only with Kori Creek that still flows into the Rann. Though it requires a long journey to reach Lakhpat, the intrepid traveler will be rewarded. 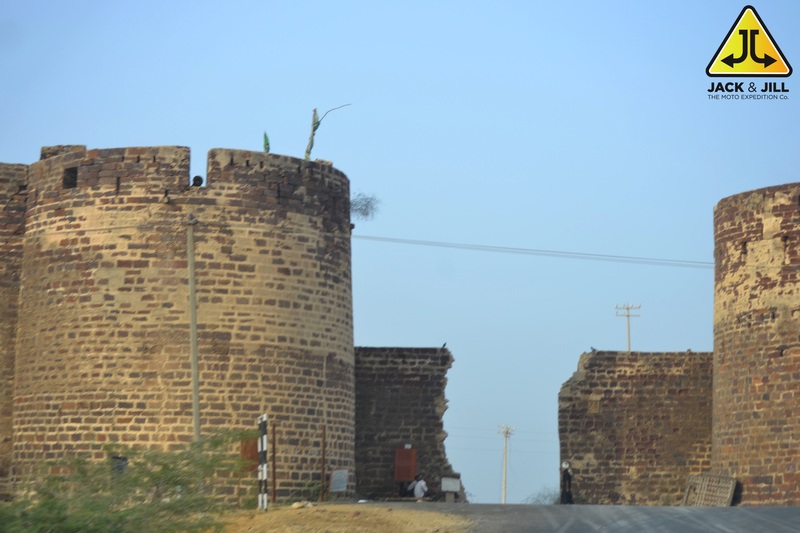 The 7 km fort walls, erected in 1801 by Jamadar Fateh Muhammed, are still nearly intact and offer tremendous views out over the Rann. Due to the extremely clear desert air and remote location, the night sky is spectacular (visit near the new moon for best stargazing) and sunrise or sunset in a landscape of such endless horizons are not to be missed. Lakhpat has religious significance for three of India’s most populous religions: Guru Nanak, the founder of Sikhism, reportedly camped here on his journey to Mecca. The site later became a gurudwara, which holds some of Nanak’s possessions; Pir Ghaus Muhammed, a Sufi mystic who from the age of twelve devoted himself to spiritual practice and reportedly practiced half as a Hindu and half as a Muslim, is buried here in Lakhpat. His tomb is a stone construction with very complex carvings and a water tank that is said to have healing properties for skin problems; Sayyed Pir Shah’s nine-domed mausoleum has intricate carvings, doors, windows, and jaalis.